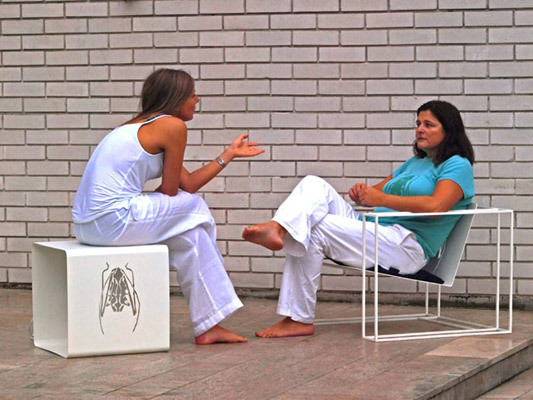 New products were created for 2009 Prague Designblok. Part of work is focused to decorative area, stainless steel	jewels – broaches. The choice of other products' nature was influenced by intention to present furniture collection together with textile pieces and accessories. New output continues to keep same pure minimalistic line of whole collection design.